Ace spends his time daydreaming of walking in the spring air with the greenery surrounding him. Day by day he lives cut away from the rest, his headphones helping him to ignore the world around him. Yet Jane has always challenged his solitude. Today she invites him to walk together with her. A short visual novel written and programmed in 2 days taking advantage of the small demo window opened for Visual Novel Maker! A personal challenge done for fun and to gain that sweet EXP! 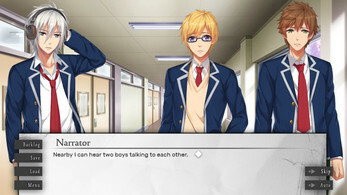 There are 4 endings in total with the first having an extra special option under the right conditions. Thanks to some fortunate circumstances, we were able to add in a few final changes to the project. 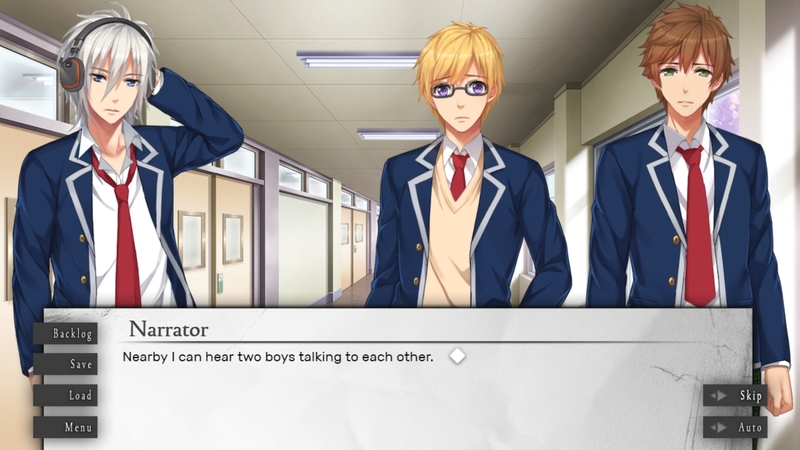 The first is a difference in conditions to unlock the 4th ending to the project which I will leave to the wary player! Second, there is now a bit of extra content waiting for those who get the best version of ending 1! Now featuring artwork by MoeWriting team artist @khana_chi! 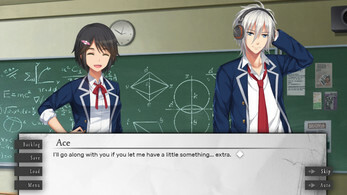 Credit to VN Maker for system and visual assets used. Credit to RPG Maker VX Ace and MV for music tracks used. A simple package contained in a .zip file. Unzip it and access the file labeled "Game" with the icon of a pen's tip. Amazing game simple yet addicted due to it's great character design but it took only 10 minutes to complete the game is this the DEMO or the full version? 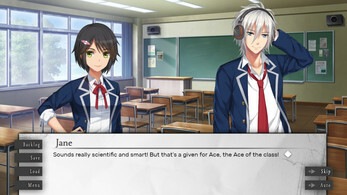 please tell me if the full version is available i tried to find it on steam but it isn't there, The fact that we can see the protagonist (my character) is really good because lot of games don't have that feature, also please give the option to choose a name for my character, the school-uniform are Japanese kinda but the characters have name of americans like JANE-ACE if they would be changed to japanese names it would fit the background-game-characters more! Has lot of potential just my type of game! Bugs: 1-The sound-voices-music bars are bugged they go beyond their little ( ) Boxes and if you make them go way back so the sounds turn off it still doesn't the music and sounds are still their so the audio options are practically useless. 2- Fix the fullscreen issue if i press windows key it doesn't take me to desktop but minimizes the screen and because of that when the screen is minimized if you press ESC key the game closes. 3- 1 grammar mistake not a big deal but in a line Jane says change instead of chance. <3 im desperate for the full version please reply!